Its April month and its time to welcome the king of fruits, yes!! Mango. 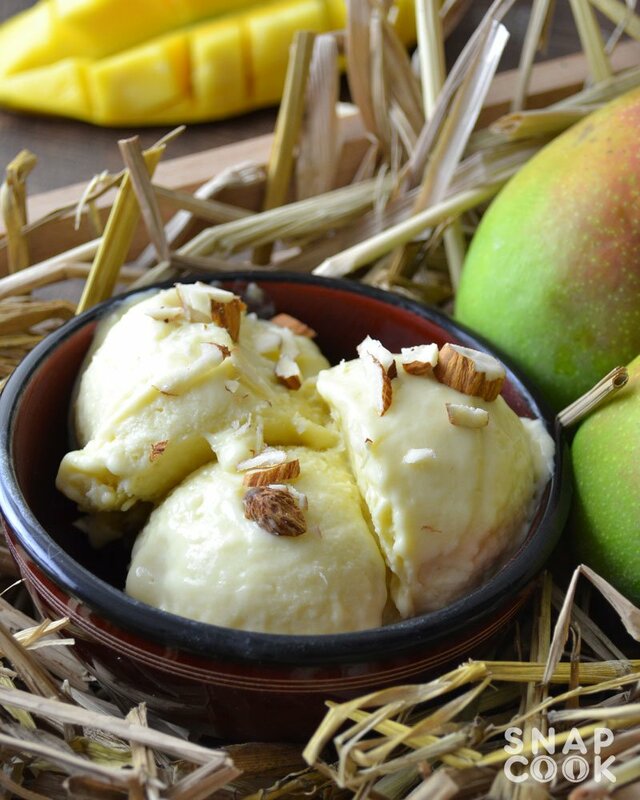 When mangoes are already in market now so its like a tradition to make mango ice cream every every year in summer. 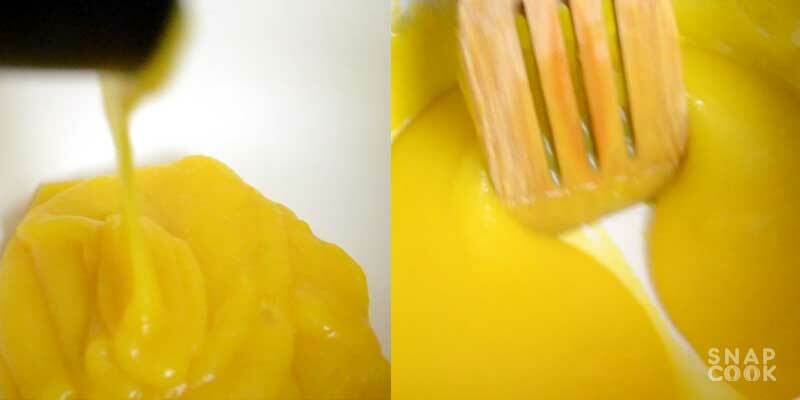 So lets make everyone’s favorite mango ice cream today. 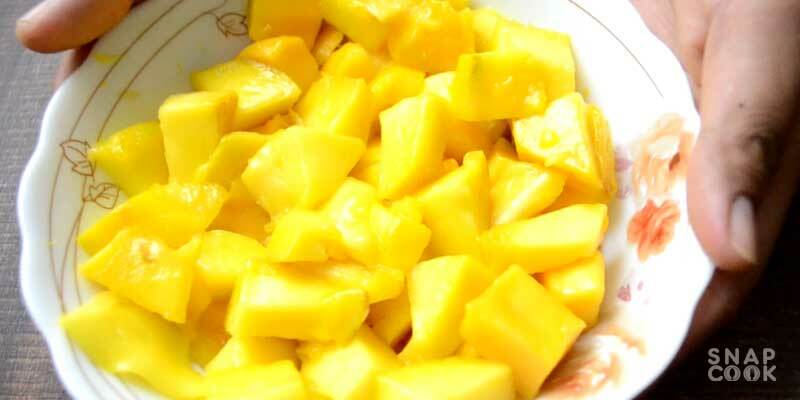 Chopped Mango – 2 medium size. 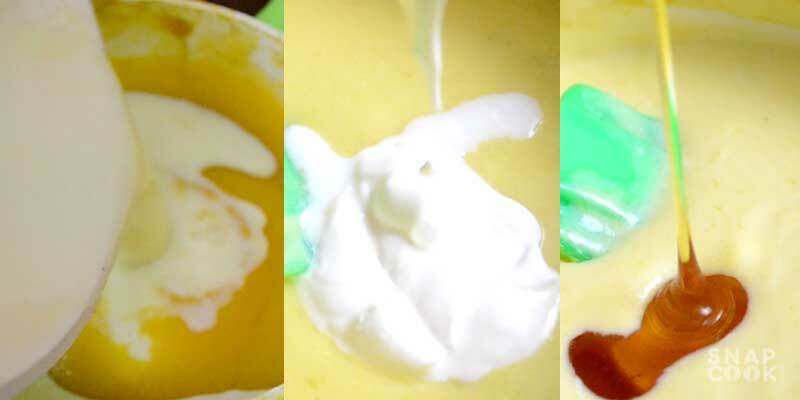 Milk cream – 1/2 cup. Chopped Almonds – 1 Tbsp. Method for making mango ice cream. 1- Take 2 medium size Mangoes and chop them in a small cubes. 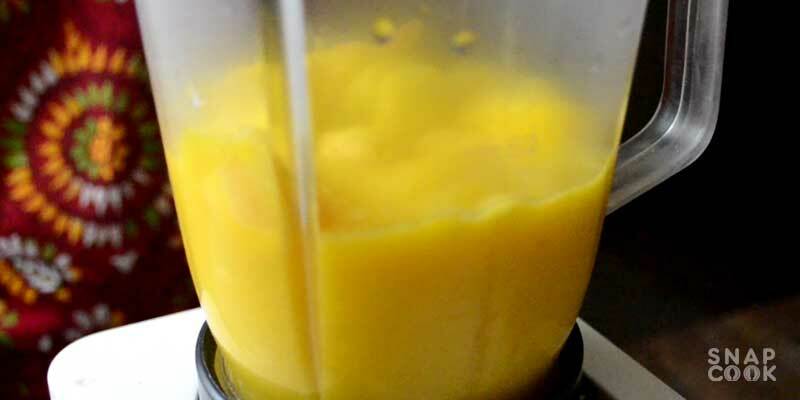 2- Put them in a blender or mixture and then blend them for 2-3 minutes to make mango pulp. 3- Measure the pulp in 2 cups. 4- Add the pulp in a pan and cook it till it reduces to half and then let it cool. 5- Add 500ml milk in a pan, add 1/2 cup sugar and boil it till it reduces to half and then let it cool. 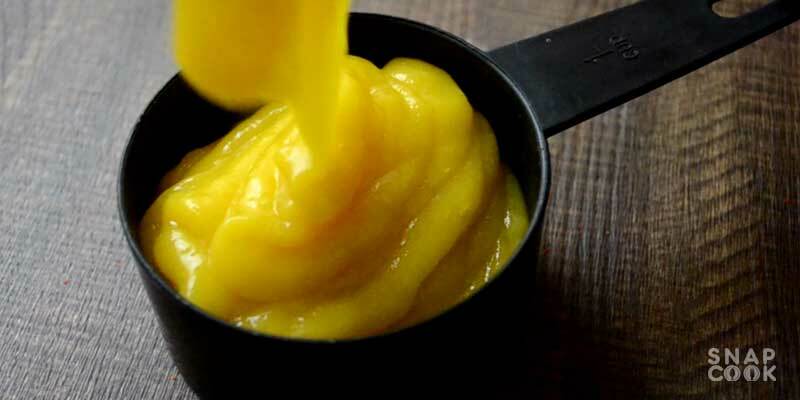 6- Add the milk to the mango pulp along with 1/2 cup milk cream and 2 Tbsp honey. 7- Pour the mixture in an air tight container and freeze it for 4-5 hrs. 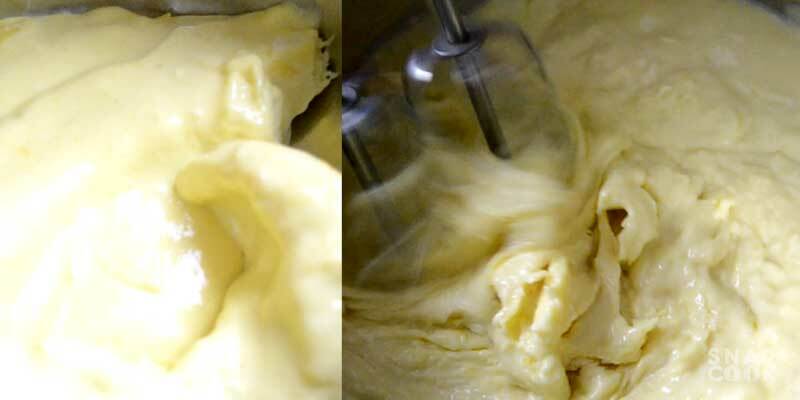 8- Pour the frozen mixture in a deep pan and beat it for 2-3 mins. 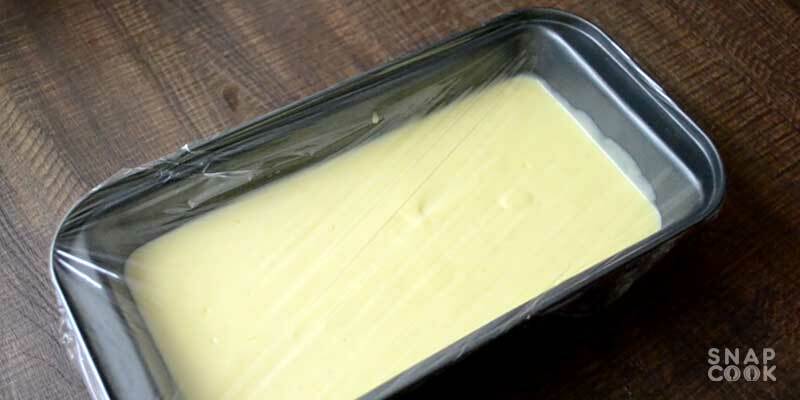 9- Pour the mixture in an ice cream mould and wrap it in a plastic sheet or just use an air tight container and freeze it for 3-4 hrs. Our mango ice cream is now ready. Serve it with some chopped almonds on top. 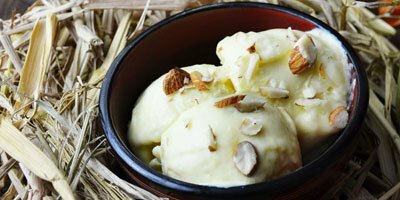 Easy Mango Ice cream recipe using mango pulp and without ice cream maker. Take 2 medium size Mangoes and chop them in a small cubes. Put them in a blender or mixture and then blend them for 2-3 minutes to make mango pulp. 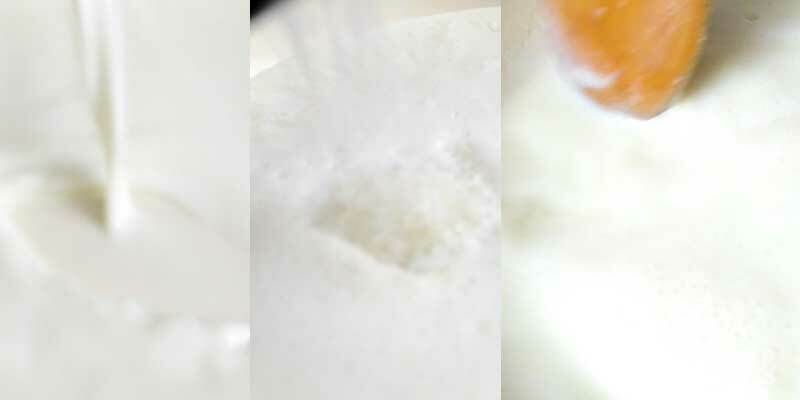 Measure the pulp in 2 cups. Add the pulp in a pan and cook it till it reduces to half and then let it cool. Add 500ml milk in a pan, add 1/2 cup sugar and boil it till it reduces to half and then let it cool. 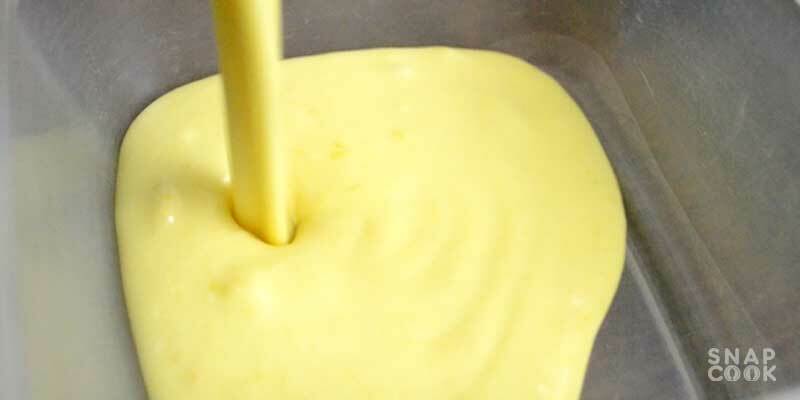 Add the milk to the mango pulp along with 1/2 cup milk cream and 2 Tbsp honey. Pour the mixture in an air tight container and freeze it for 4-5 hrs. Pour the frozen mixture in a deep pan and beat it for 2-3 mins. Pour the mixture in an ice cream mould and wrap it in a plastic sheet or just use an air tight container and freeze it for 3-4 hrs.